The tug-of-war for viewers between traditional video programming distributors and new internet-based competitors is well underway. Virtual multichannel video programming distributors (vMVPDs) are taking advantage of the growing influence over-the-top (OTT) providers have gained among pay-TV subscribers. As the ranks of cord cutters continue to grow larger and more diverse demographically, traditional pay-TV companies are faced with the reality that they are steadily losing customers as vMVPDs build their audiences up. First, a quick definition. A virtual multichannel video programming distributor is an OTT service provider that offers a consumer traditional, linear pay-TV channels delivered through the internet, often included as part of a skinny bundle. Whereas traditional MVPDs like Comcast and Charter offer traditional fixed cable contracts, vMVPDs offer flexible subscriptions. The likes of DIRECTV NOW, Playstation Vue, Sling TV and YouTube TV allow consumers to stream OTT video content on an internet-connected device. And it's increasingly viewed as a winning formula. Pay-TV companies have seen their industry considerably disrupted by the emergence of vMVPDs, who have themselves risen alongside the trend of cord-cutting, as well as grown with a new generation of cord-nevers. The new consumption habits have translated into a steady decline in pay-TV customers, and a subsequent increase in vMVPD customers. The divergent paths were most recently evidenced by the continued hemorrhaging of customers pay-TV companies experienced in quarter three of 2017. After losing more than 900,000 subscribers in Q2, the largest pay-TV providers (which constitute 95 percent of the market) lost another 405,000 net subscribers in Q3. This transpired as top vMVPDs DIRECTV NOW and Sling TV were estimated to have added more than 500,000 subs in quarter three, according to Leichtman Research Group. And it may only be the beginning for legacy providers. According to recent research from The Diffusion Group, pay-TV companies are set to see their reach reduced dramatically in the coming years. Legacy pay-TV penetration is expected to fall from 81 percent of U.S. households currently to 60 percent by 2030, a 26 percent decrease. 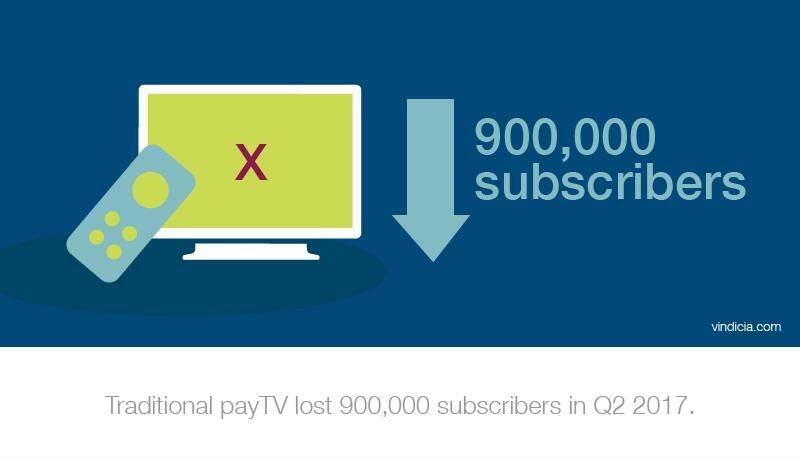 Traditional pay-TV providers lost nearly 1 million subscribers in Q2 2017. The woe of pay-TV companies equals the joy of virtual players, who have gobbled up customers fleeing legacy providers. Indeed, Multichannel News analyst Craig Moffett calculated that the ratio of lost pay-TV subscribers who were recaptured by vMVPDs was 50 percent in Q2 2017. FierceCable reported that Moffett was even more bullish on how much vMVPDs added to their customer rolls in quarter three, estimating as many as 962,000 subscribers. Such developments add to the expectation that vMVPDs may have ended the year with a collective audience of 4 million subscribers, which, while still dwarfed by pay-TV company numbers, clearly indicates where the industry is headed. In The Diffusion Group's report, researchers said they saw virtual pay-TV penetration growing from 4 percent of U.S. households currently to 14 percent by 2030, a 350 percent increase. While operating on relatively small economies, vMVPDs have achieved notable success in a short time. Various estimates peg Sling TV as having around 2 million subscribers, and AT&T's DIRECTV NOW recently crossed the 1 million mark in just over one year in operation, CNET.com reported. Again, these numbers aren't on the same scale as even weakened pay-TV companies, but the trend does demonstrate the inexorable path the industry is on toward OTT providers and virtual delivery. "The question is no longer if the future of TV is an app, but how quickly and economically incumbents can adapt to this truth and transition to an all-broadband app-based live multi-channel system," said TDG senior analyst Joel Espelien. Rapid growth is the way forward for vMVPDs, but subscription success isn't just about acquiring new customers. Strategic billing and retention also heavily factor in. 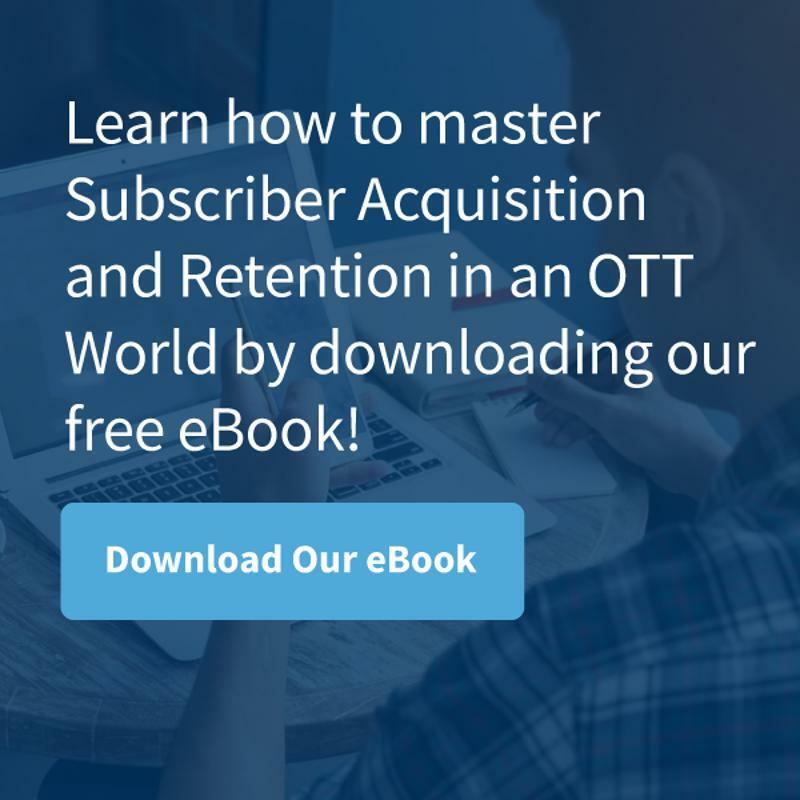 vMPVDs would do well to consult with companies like Vindicia that can not only manage their subscription billing needs, but also assist them to gain and sustain customers with advanced low-cost customer acquisition and retention capabilities.